It’s November and two things come to mind: Turkey and Black Friday shopping. A lot of folks head out Thanksgiving night and/or early Friday morning to scoop up some great deals and cross a bunch of things off their holiday shopping lists. And while we love a great deal as much as the next person, we know how important it is for electronics and smart home devices to be shopped for with a well-thought strategy. With our 75 years of experience, we can assure you that planning your next television, home theater, or home automation project with us will be much more successful than any trip to your nearest big-box store. We can match your needs with our expertise and develop a plan that’s right for your space and budget… and that doesn’t involve leaving the Thanksgiving table early. 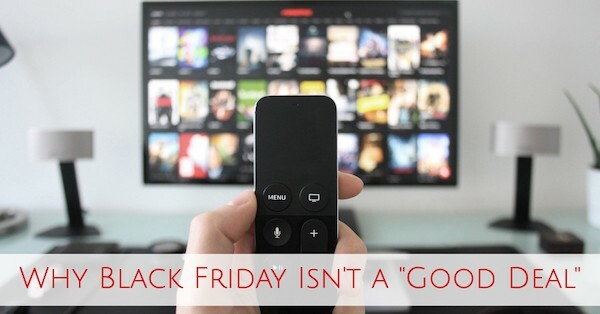 If you are looking to invest in your next TV, don’t risk being fooled by the low price tags you might see on Black Friday. A big screen and a shockingly low price tag don’t necessarily equate to getting a steal. It also doesn’t mean that the giant TV with the low price tag is well-suited for the media space you are trying to setup. Similarly, setting up your home automation system on a whim will never produce the results you hope for. Working with a home automation expert with years of experience will set you and your home up for success. We have extensive hands-on experience setting up smart, integrated systems such as lighting, temperature control, security, doors, phone and surveillance systems. When you see that low, low price on the latest home assistant or automation tool this Black Friday, remember that if you don’t know how to properly integrate it with your home, you’re really not getting a steal. We love turkey and we love great deals. But if you find yourself among the growing crowd of folks disinterested in waiting for hours in the cold and fighting crowds for the latest in electronics, we get it. It’s not always fun and depending on what you’re shopping for, it’s not even practical. Do something that really makes you gobble gobble and enjoy your Thanksgiving feast with the ones you love.